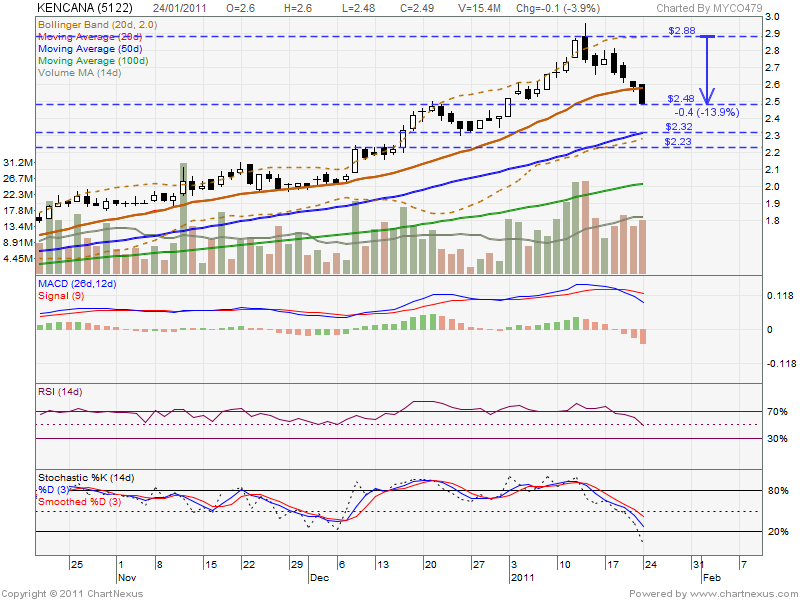 As today, it retest RM2.48 support level BUT no reserval candlestick been formed. 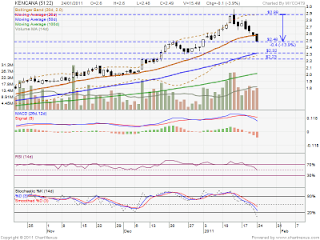 If future retrace down, next support would be RM2.32 & RM2.23 level. However, if rebound, it might retest RM2.88 resistant. bro scable is coming . very nice job . im appreciate ur blog very much . hope can spend u a lunch . I will try my best share more nice stock. Hope my sharing help you earn more $$$. Happy CNY, Kenbaby.